Hello everyone! 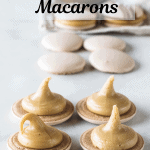 This is my second recipe for vegan macarons on the blog: Vegan Salted Caramel Macarons! My first vegan macaron recipe was for these delicious Avocado Vegan Macarons. And I decided to keep trying, as they are a bit different than the regular macarons, and I haven’t quite figured out my oven with the vegan macarons just yet. But I keep trying. My feet didn’t developed quite as well this time with these Vegan Salted Caramel Macarons, but enough to pass, at least in my humble macaron baker opinion. I bake a lot of macarons, but they aren’t usually vegan ones. 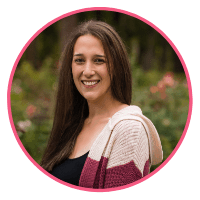 I recently started leaning towards vegan desserts, since I’ve experienced a lifestyle and diet change in my own personal life, and obviously that was going to reflect on my blog. 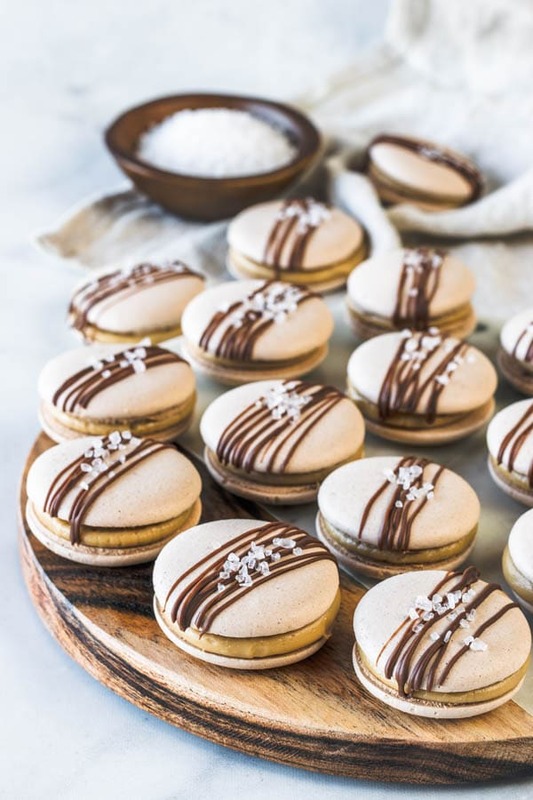 Vegan Macarons are made out of aquafaba, which is the chickpea water. 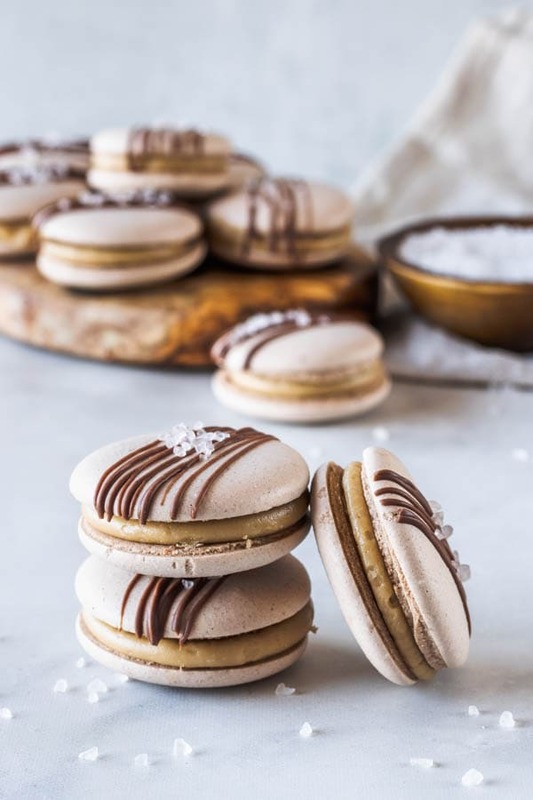 In the Italian method of making macarons, you usually make a syrup with water and sugar, and bring it to a certain temperature over a gentle boil. After that, you add this syrup to whipped aquafaba (or egg whites, in the case of non-vegan macarons). 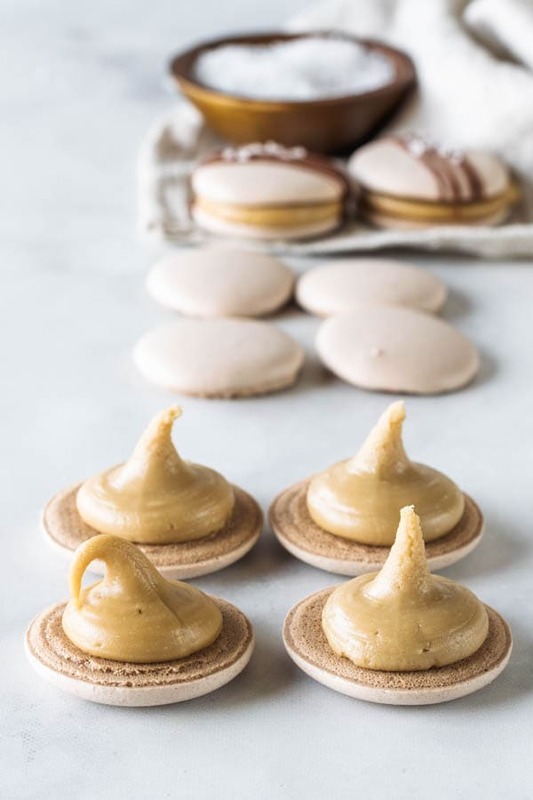 After adding the syrup to the aquafaba, you whip this one mixture for quite a few minutes until you achieve a glossy, fluffy meringue. Then, the meringue gets folded into a paste made by the almond flour, powdered sugar, and some aquafaba (or egg whites). This is basically the quick guide of how to make vegan macarons using the Italian method. Make sure to read instructions below, as they are very detailed. And as always, don’t hesitate to reach out and ask me questions. The best way would be email camila@piesandtacos.com or dm on instagram, or even in the comments at the end of the page. I am new to making vegan macarons, however, I am an experienced Macaron baker, since I’ve been so passionate about it for so many years. Any help I can give someone else is also great help for me, as sharing the knowledge strengthens my own skills. 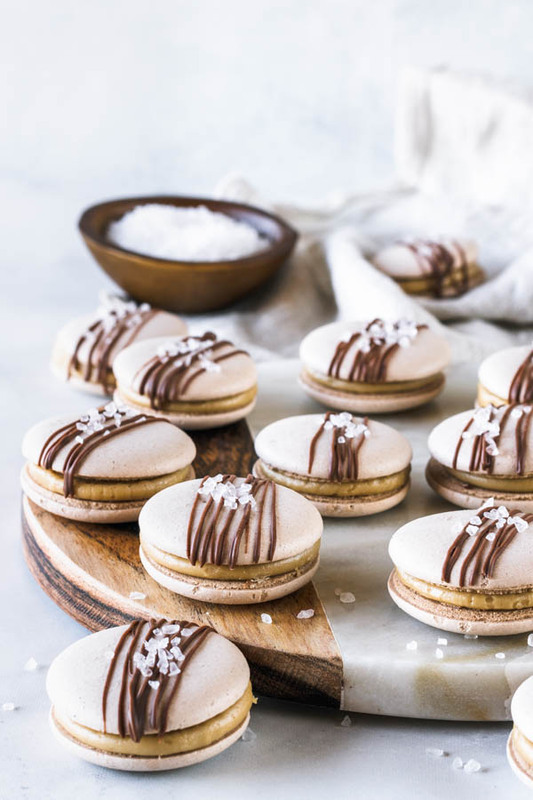 Like I said, these Vegan Salted Caramel Macarons are only my second vegan macaron recipe published on the website. However, I’ve made them more than that (yes, I failed like a bazzillion times), so I have some insight and tips to share. It’s best to use canned chickpea water, because if you boil your own chickpeas, the water might no be as concentrated as the one from the can, which is just perfect. Gently boil the chickpea water for about 10 minutes, over low heat, letting it reduce to about half, and let it cool down, and rest in the fridge before using it. Don’t skip this step. Because of the step above, I will also recommend to prepare a day before for this recipe, since you will have to make the reduced aquafaba in advance, and let it rest in the fridge to make it thick. Figure out your oven and how it works. Please don’t take this tip for granted. My oven is probably completely different than yours and will bake your macarons totally different than mine. 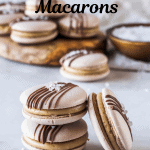 Try to keep an eye on the macarons, to figure out best time to rotate the pans, or how long to bake for, and which rack in your oven the macarons bake better (bottom, middle, top). Get an oven thermometer. Probably a couple of them. So you are able to identify if your oven has hot spots, or spots that don’t heat up as much. Also, this ensures the temperature is set correctly. Don’t overmix your macarons during the macaronage. It’s always best to undermix the batter, test for consistency multiple times, and then fold the batter again if necessary. DO use a Silicone Macaron Baking Mat. I can’t recommend this enough Life has changed after I started baking with a Silicone Mat. 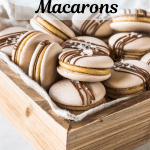 Let the filled and assembled macarons mature in the fridge overnight, or for 2 days, because this will make the shells softer, and ensure best consistency and flavor. 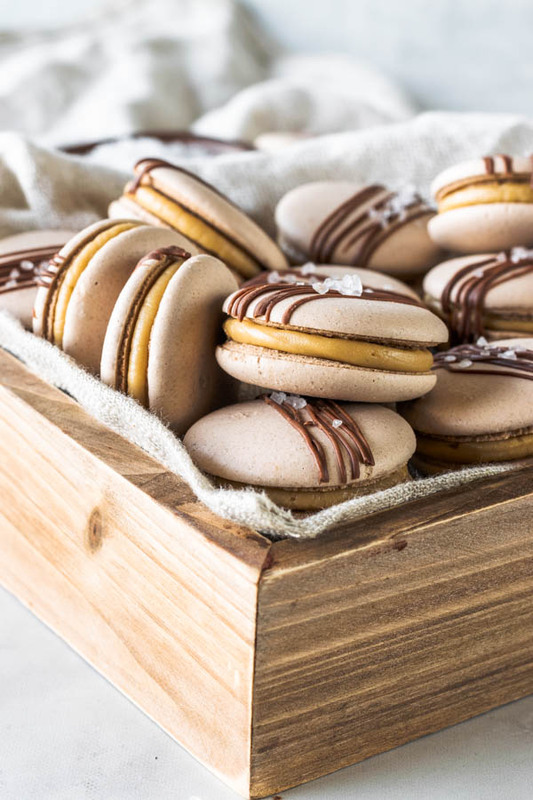 Let macarons sit at room temperature for a few minutes before enjoying. 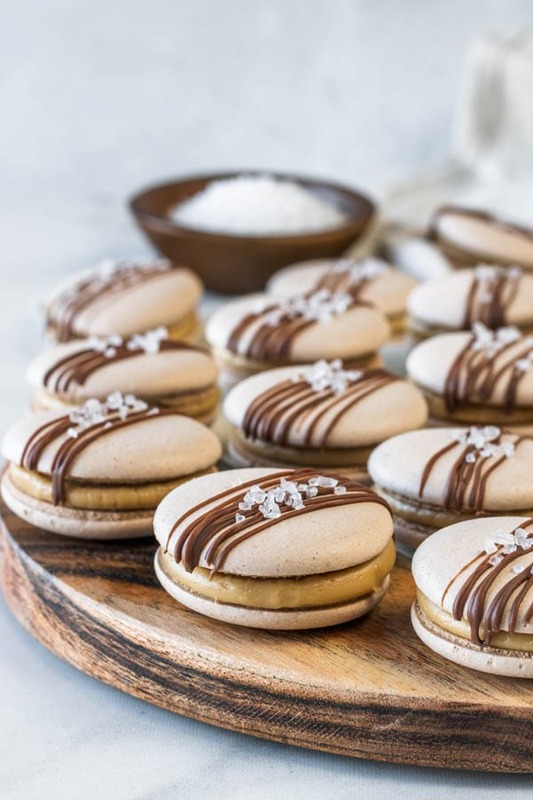 I decided to decorate my Vegan Salted Caramel Macarons with some salt sprinkled on top. And please, take my advice, and don’t skip the salt on top, as it makes a world of difference in the taste. Trust me, I’m a sweets specialist, since I have the biggest sweet tooth in the whole world! The caramel filling was one of the best things I’ve ever had. It’s a vegan salted caramel buttercream. Super easy to make too. As the buttercream sets, it crusts nicely with a crackling delicate thin skin. Which I tend to love. Just a tip in case you want to use this vegan salted caramel buttercream to decorate a cake or some cupcakes. I know I will! 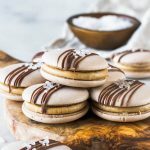 If you want to check out some more vegan, and gluten-free sweets, please click here to see my Vegan Sweets (which are all gluten-free so far). I hope you loved today’s recipe, as much as I loved making it, eating it, photographing it, and then writing about it! My life as a food blogger is awesome, because I get to create the most amazing and interesting projects I am super interested in doing, that I would just totally do for free anyway, but I actually get to be paid and recognized to do so, and that means so much to me! It also gives me a great deal of fulfillment each time I get a message, email, dm, comment, saying how my recipes have helped someone, and how they loved making one of my recipes. I adore you all, my readers! Thank you for making this happen for me. 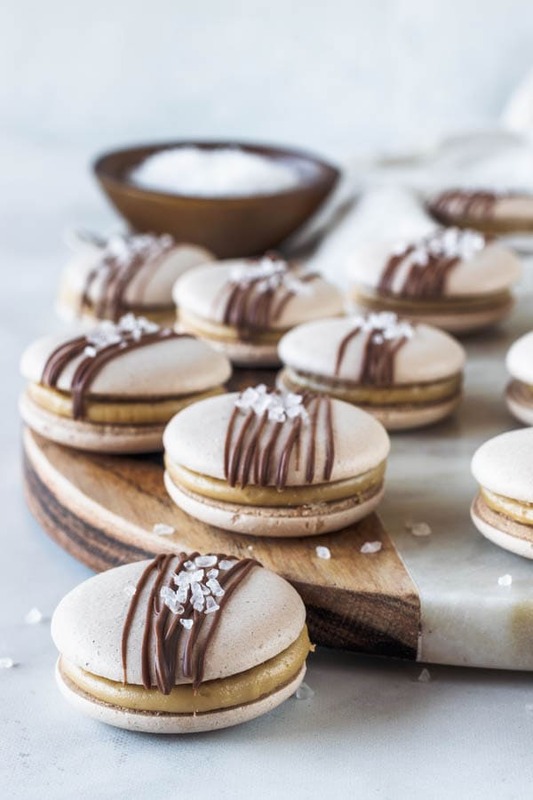 These are my delicious Salted Caramel Vegan Macarons. 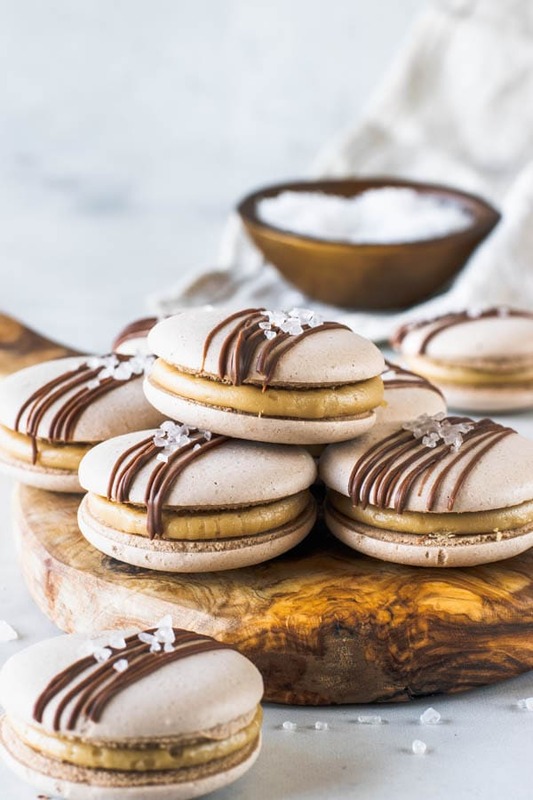 Gluten-free, egg-free made with aquafaba. Sift almond flour, powdered sugar, and cocoa powder together in a bowl. Place vegan margarine, brown sugar, almond milk, and salt in a small saucepan. Bring it to a boil over medium heat, let mixture simmer for a few minutes, until gets thicker and darker in color. Remove from the heat to bowl, and let it cool to room temperature. Once caramel has come to room temperature, whip it with a mixer for a few seconds. Stop the mixer and add sifted powdered sugar. Mix on low until combined. Raise speed to medium and whip frosting for a few seconds until combined. At first, only add 3/4 cup of powdered sugar, add more only if necessary. The consistency should be very thick, easy to pipe with a piping bag. This frosting is magical and delicious. It sets with a nice crunchy delicate crust. Pipe a bit of frosting on half of the shells. Top with the other shells. I drizzled melted chocolate on top and flakes of sea salt to decorate and give a little salty flavor. Very delicious! 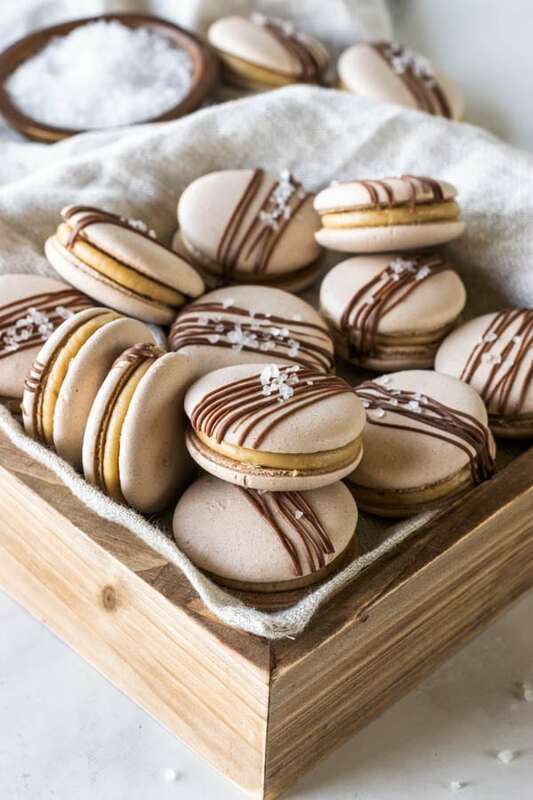 Esses Macarons ficaram de chorar!!!!!! Muito gostosos!!!!! Parabéns Ca!!!!! !